Police are now investigating the death of Montae Talbert, aka M-bone. M-Bone of Cali Swag District attends An Evening with Chrysler at the Motor Village of Los Angeles on November 16, 2010 in Los Angeles. M-Bone, a rapper who helped popularize the dance move "The Dougie," was shot and killed Sunday night in Inglewood, Calif., according to his group's publicist. The shooting occurred at about 11:30 p.m. in front of a liquor store in the 400 block of North La Brea Avenue. Inglewood police said the victim, wounded in the upper body, was found in the car. He died at Harbor-UCLA Medical Center. The coroner's office has not confirmed the victim's identity. M-Bone was a member of the group Cali Swag District. 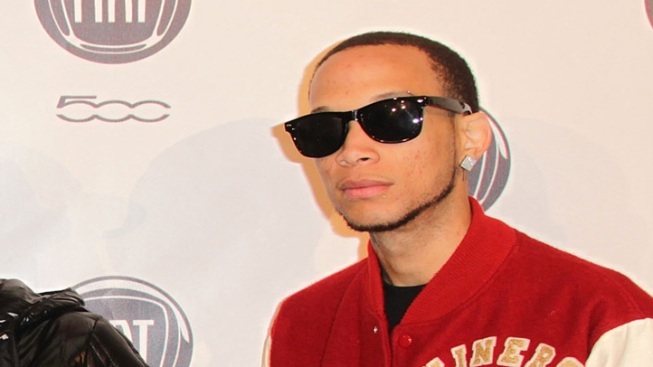 The group is best known for the 2010 single "Teach Me How to Dougie." The group's label, Big Hassle Media, released a statement late Monday morning: "Cali Swag District member Mante 'M-Bone' Talbert was the victim of a random act of violence last night, Sunday, May 15th in his hometown of Inglewood. As police are still investigating the shooting and untimely death, we ask that anyone with information contact the Inglewood Police Department. Mante, was the comedic entertainer of Cali Swag District (who helped launch 'The Dougie' to mainstream audiences) and was an inspiration to his family, friends and fans. He was a hardworking, passionate artist and dancer that will be deeply missed."